At Erickson Clinic of Chiropractic you are in safe, experienced hands. Welcome to Erickson Clinic of Chiropractic! In order to prepare for your first appointment, we suggest you complete the new patient paperwork at your leisure. Let us know if you have any questions. 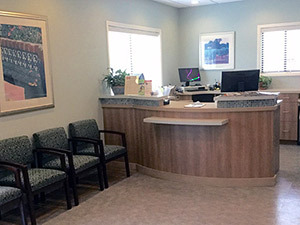 In most cases we’ll schedule a follow-up visit to be adjusted, so that Dr. Erickson can determine the best care plan for you. However, if you’re in acute pain or have traveled a long distance, Dr. Erickson may suggest physical therapy or an immediate adjustment. Please set aside one hour for this first visit. Dr. Erickson uses a variety of gentle chiropractic techniques. If you choose to go forward with Dr. Erickson’s proposed treatment plan, he’ll adjust you immediately. This visit could take up to forty-five minutes, depending upon the treatment. Repeat visits for treatment can be easily scheduled based upon your treatment plan, and the visits themselves take just 15 to 20 minutes. “I am the messenger, and the educator,” says Dr. Erickson. “it’s your job is to decide what you want to do with your care.” Each patient ultimately decides if chiropractic care is something they want to do, and for how long they would like to do it. Don’t wait until there is crisis in your health again. Be proactive in your health care and call (336) 760-1333 for an appointment today.